Section 1: Salvation – Where is their relationship with the Lord? Do you know for sure that you’re going to heaven? Why? Do you know what the Bible says about how one gets to heaven? Has there ever been a point in your life where you’ve trusted Christ as your Savior? Have you ever doubted your salvation? Very seriously? How often? This entry was posted in Counseling young people and tagged and eternal life., going to heaven, holy spirit, jesus christ, key scriptures. 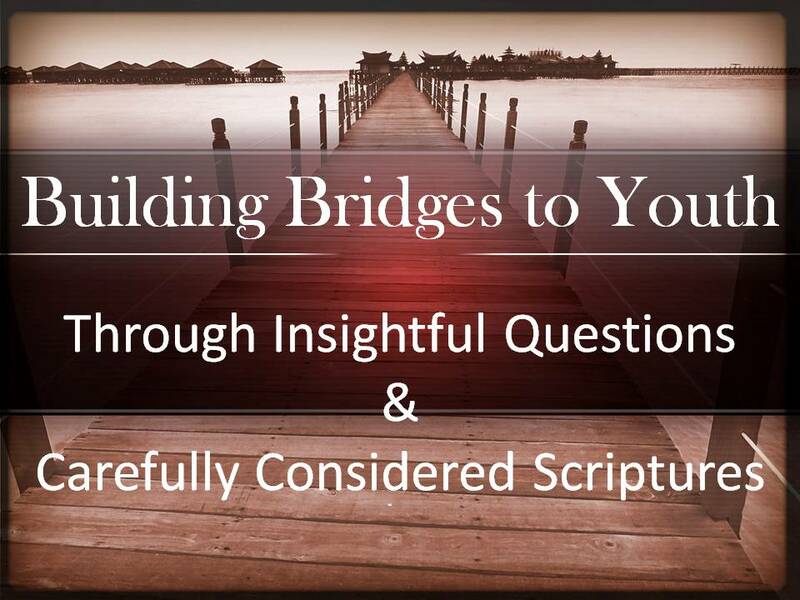 ← Section 2: Christian Helps – Are they properly using their Bible and church?